We introduced our tree planting scheme in 2012 since then have helped our guests plant over 200 saplings on the estate. This scheme is a direct method to off-set your carbon footprint. It is not about donating money to an arm’s length environmental scheme where you personally do not see how your money has been spent! For each holiday booked within a house or apartment on the estate, one native tree is planted by you. The cost of this is included within the rent for your holiday. Should any family or person wish to plant more than one tree, then an additional charge of £10 per tree is requested. 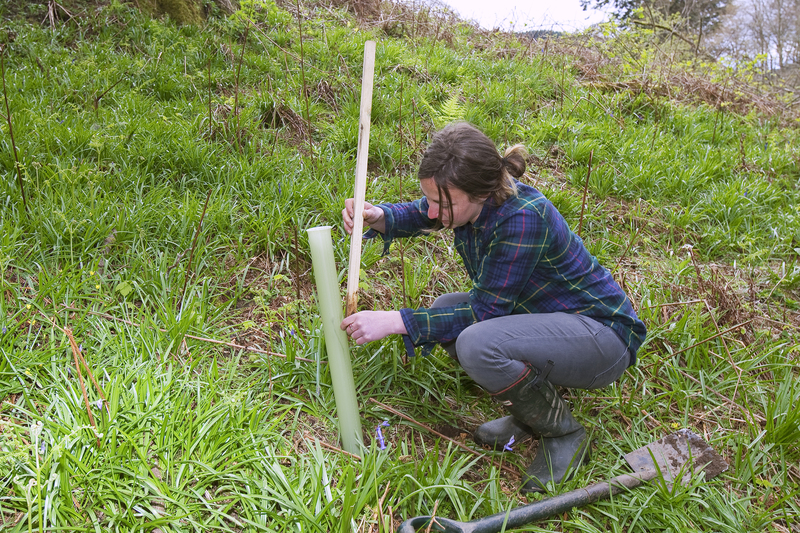 For every tree planted, you take home a special commemorative certificate with your name on it (or the person to whom the tree is dedicated), a description of the species planted and a grid reference showing the location of the tree. It is worth thinking about – each year an average family produce anywhere from 10 to 50 tonnes of CO2. A single oak tree can absorb around 1 tonne of CO2 during its lifetime.